Here we have the elegant, long running and rather special, Crane Garden Buildings. The aim of our Crane Garden Buildings review is to make sure that you are as well informed as possible about this retailer. We are going to look at everything, the products they sell, the prices they charge, what their site is like and even have a gander at some actual Crane Garden Building customer reviews. By the end, you will have a much better idea if this is the retailer for you. Having been in business for over 40 years now and with their own manufacturing plant in Norfolk, Crane Garden Buildings are a company who are very hands on and like to make sure that their sheds, summerhouses and other garden structures are as well built as possible and of course have a very classy kind of design. One of the first things you notice about the products at Crane Garden Buildings is just how good they look. Their main products are their sheds, summerhouses, garden rooms and garden studios, but they do also carry some other structures such as these awesome beach huts. We feel that this is a retailer who are going for a more classy kind of product and that is certainly evident from looking at their homepage. Sheds are a huge part of the Crane Garden Buildings range. We love how they have more traditional sheds for those looking to just store some tools or perhaps the kids garden toys, but they have these more extravagant sheds that would be perfect for people who want a place to potter around. The crown jewel of the Crane Garden Buildings has to be their National Trust line. Quite how these tie into the National Trust is a bit of a mystery, but this line of sheds, summerhouses and other garden products is clearly something that they take a lot of pride in. This line of products has a very classy British type of look to it so if you do want something that is sophisicated and has a somewhat classic traditional look to it, then this National Trust line is well worth looking at. One other thing we must talk about when it comes to the products is their ability to let you customise. Many products will let you tinker with the colour, add shelving and even change the flooring so you can really get the shed or summerhouse of your dreams. They even have a create your own shed option where you can customise your own dream shed which is a great way to get a shed that is perfect for your needs. 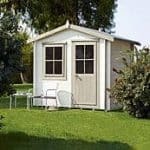 Prices are one of the more controversial things about this Crane Garden Buildings review as when it comes to prices, Crane Garden Buildings are a company who do not make cheap and cheerful products. The prices may cause some customers to run for the hills without really checking the products out properly, but to be honest with you we feel that the prices that they are asking are what you would expect with the quality and the effort that goes into design. These are more high end products and as a result they have a more high end price. The pricing can be quite confusing as well as many of their products have a whole bunch of extras and some items such as their Blakeney Summerhouse in different sizes with the prices starting at £1305 all the way to £2935. Their sheds all start at over £500 with some models such as the Oxburgh starting at £1899. 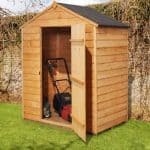 We know that the prices seem very high, but again we have to say that these are not supposed to be cheap sheds. They are made to be something that is as much a feature of your garden as a place to store things or spend your spare time. The prices that Crane Garden Buildings are asking do make them a retailer that is more tailored to those who have a bit more money to play with or those who do not mind saving up a little bit longer to ensure they get a shed with some serious style. 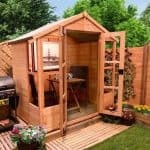 When it comes to sales and special offers, we really have not seen too many appear on the Crane Garden Buildings site. But one thing they do have is an ex display section where you can save some money by purchasing a product that has been used at one of their showrooms. Now the thing about these is that most of these products as their more impressive, large and generally expensive items such as summerhouses, offices and huge sheds so the prices of these is still going to be rather high. For example, one of their ex display models that they currently have for sale is the Holkham Summerhouse which can be your for £12,176.00, which we know may make some of you spit our your morning coffee, but actually the brand new price for this summerhouse is £15,220.00. So while clearly not everyone has this kind of money to spend on a garden building, you must admit a saving of over three thousand pounds is still very good. So if you are looking to add a large building to your property then we highly recommend you have a good look at their ex display section. We actually did not have any problem navigating the site and we feel that this is actually one of the easiest parts to talk about during this Crane Garden Buildings review. The homepage is very smart looking with the main categories such as sheds, summerhouses and garden studios clearly listed at the top of the page. When you click on one of these you will then be taken to a section where you can get a better look at each category. Sheds for example will then allow you to click on Superior Sheds, National Trust Sheds, Classic Sheds or if you are feeling creative, Create My Own Shed. Honestly each section makes getting into it and then picking a specific brand or product very easy and we really do not see anyone having any trouble navigating the site. Now when you actually click on a product things get a little more in depth and for some we are not actually sure this is going to be something that is a good thing. But let’s look at the positives first. Some items like their Classic Shed have just a ton of different options ranging from size of which there is an incredible, seven sizes to pick from, colour, flooring and a few others as well. Some of the options can be a bit much and just purchasing a shed with a simple click of a button is not really something that is on offer here. You are always going to have to have a good look over the various options and make sure you are getting the exact product you want. This is not a retailer for those of you who want to look at a shed, check the dimensions and just hit that buy it button. Crane Garden Buildings products require you to do a little research and make sure that you pick the right options so you get the shed, summerhouse or whatever exactly the way you want it. We love this level of customisation, but we understand how for some it could perhaps be a little too much. As far as the product descriptions and pictures go, we love them. They really do a great job in showing off their products and telling you what makes them special. There are not any what you would call traditional Crane Garden Building Reviews on the actual site. This is something we found rather odd and we can actually say that we clicked on every single product to see if there was in fact a customer review, but we could not find anything and trust us, we had our detective hats on and looked over every inch of each products page! They do have a little bit of customer interaction as they have a testimonials page. These are messages from customers who have had good experiences with Crane Garden Buildings and wanted to share that experience with potential new customers. These are great and all, but we would have liked to have seen reviews on each of the products as this way you get to see what makes customers happy and what makes them mad. All of the testimonials are positive and there are five pages of them for you to look through. What Are The People Saying About Crane Garden Buildings? As there are not any Crane Garden Buildings customer reviews on the actual site, we have to put on a pot of coffee and search the internet to find out what actual customers have to say about Crane Garden Buildings. 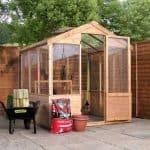 The sites below are ones that have actual Crane Garden Buildings reviews from people who have purchased a shed, summerhouse or something else from them. Crane Garden Buildings customer reviews are actually harder to find than many of the other garden retailers we have reviewed. We had such a hard time finding reviews for this retailer that it was driving us mad! But do not worry as we still managed to find three ways for you fine folks to be able to have a look and see what customers have to say about Crane Garden Buildings. As always please try to keep an open mind while you are reading these reviews and do not just focus on the top reviews or the negative reviews. Be sure to read have a good look at all different kinds of Crane Garden Buildings reviews so you can get a better picture of what they are like as a retailer. Facebook: We are starting with the place where you can find the most Crane Garden Buildings customer reviews and that is good ol, Facebook. Now we are not sending you to Facebook so you can look at your friends pictures, but the Crane Garden Buildings page actually has a reviews section. They use a star system like most other review sites and in total as of writing there are 17 customer reviews for this retailer. We know this is not a lot, but this really is the most any site has. The reviews here are incredibly positive with 15 of them being for 5 stars, 1 for 4 and then only one review for 1 star. This is great to see and many of the reviews are happy to praise the quality and general customer service of Crane Garden Buildings. As well as being pleased to see that the majority of customers are happy with their purchase, it is great to see that Crane Garden Buildings reply to peoples comments which is something we like to see. They have not just replied to the one negative review either. 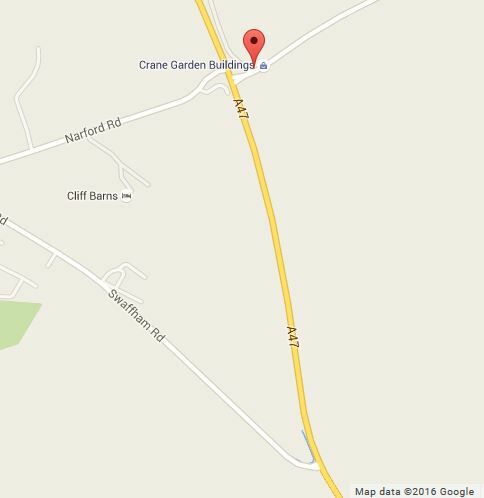 Even the 5 star reviews have replies from the staff at Crane Garden Buildings. Visit website and see reviews by clicking here. Review Centre: Out of all the major reviews sites that we have used to find reviews for various garden building retailers such as Trust Pilot, Reviews.co.uk and of course Review Centre, Review Centre is actually the only one who had any Crane Garden Building reviews. Now before you get your hopes up there are actually only a couple of reviews listed on here, but we felt we had to include them as they are the only major review site who has any Crane Garden Building Reviews. As there are only a couple of reviews listed on here, we made sure to have a real good look at each one. One customer who has left a negative review has some real issues with the prices that Crane Garden Buildings are asking. We know that their prices make their structures not ideal for everyone so in a way we can see where this guy is coming from. The other review is a positive one where the reviewer had this to say, “a big thank you to all Crane staff. I’m sure we shall get great use of this lovely building for years to come.” Which we liked to read. Visit website and see reviews by clicking here. Twitter: We will admit right now that putting Twitter on here is a bit of a stretch, but when Crane Garden Buildings customer reviews are in as short supply as they are, we will take what we can get. Anyway, the official Twitter page may not have any actual customer reviews, but what they do have is some customer interaction which we feel does show Crane Garden Buildings in a positive light. You get to see some actual customer pictures of sheds, summerhouse and other products that they have purchased and it puts a smile on our face to see the guys from Crane Garden Buildings tweeting back to them. Visit website and see reviews by clicking here. Of course the big thing about Crane Garden Buildings is the price. This is the one thing that is most likely going to make a person decide if they are going to purchase a building from them. 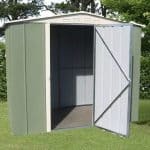 As we have said a couple of times in our Crane Garden Buildings reviews, you are not going to get a low cost, cheaply made shed from this retailer. They are all about high end products and as a result their products are priced accordingly. We would not really say that the price of the products is a concern of ours, but we can certainly see why it would be for some people. Honestly though there is nothing really that causes us any major concerns about Crane Garden Buildings. In this part of our Crane Garden Buildings review we are going to take a moment to have a few out loud thoughts about what we feel they could do to be even better. As you can see this is a retailer that has impressed us, but there is always room for improvement. You may be surprised to hear this, but we are not actually going to say that they should have lower priced sheds. This is a more premium kind of retailer and we honestly do not feel that a budget line would fit in at all. What we would like to see improved though is the way they throw all the information about their products at you. 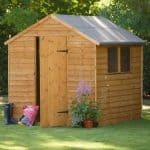 The issue is that many of their sheds and summerhouses can be purchased in different sizes, colours and with various accessories for some people it may be a little bit much. But to be fair, if you do take the time to actually look at all the information they give you, you will be fine. But we do worry some first time shed buyers may come here see all the choices and feel a bit overwhelmed. One other improvement that we would like to see is a rating system for every single product that they sell. They do have their testimonials page and that is fine, but we would really like to see actual product reviews for each item they sell. As Crane Garden Buildings reviews are in such short supply, we feel that allowing customers to leave product reviews would greatly help get the word out there about the quality of Crane Garden Building sheds and summerhouses. Our Crane Garden Buildings review saw us put a lot of effort into looking at every nook and cranny of their website. We can tell you right away that we are very impressed with the sheds and summerhouses that they offer and feel that their premium range does make them stand out from the other retailers out there. If you have the money to spend and you want something that does have a little bit more personality and style, then this is a retailer we think you simply must have a look at. For those with a strict budget who just want something to throw their tools into or something that they can use to keep the kids bikes of the lawn, we feel that these kinds of sheds are not really what you are looking for. The way we see it is that Crane Garden Buildings sell top quality sheds and summerhouses, they look great they are made to last and they of course have a price tag to match that quality and style. 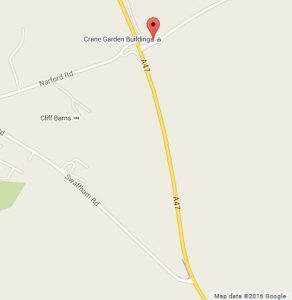 As we have said multiple times, there really are not many Crane Garden Buildings reviews out there. So we would love to hear from you people who have purchased a shed, summerhouse or any other kind of product from Crane Garden Buildings and we would love to know how your transaction went in the section below. The base was not laid to Crane Gardens own specifications. Hence concerned about longevity of shed. So far Crane Buildings appear reluctant to put this right. Paint system to last 8-10 years, but knots have bled though leaving numerous unsightly brown stains. Told today it will need to be repainted. I have only had the shed a few weeks!! Unfortunately I feel very disappointed with my purchase and Crane Buildings reluctance to put things right,especially since it was not a cheap shed. We were very pleased with the level of communication from viewing your products at the Norfolk show centre, through to installation. We were especially pleased with Ben and Matt who came to erect the summer house. They were both very pleasant, accommodating and hard working making them an asset to the business. The installers, Matt and Ben, were exceptionally hard working and did all they possibly could to oblige. They should be commended for upholding the good name and reputation of the company. We now look forward to many happy years making use of our summer house. Thank you once again to all of the staff at Cranes including those we do not know but were actively engaged in the manufacturing process. Ordered a bespoke shed, Technical team fantastic, unfortunately everything went rapidly down hill from then. Customer service is none existent which isn’t helpful when you have a shed which you’ve paid good money for, sitting for over two months in your garden, in pieces, wrecking your garden. Constantly contact them but they don’t seem bothered nor will they provide a managers name and contact. Cant find them on Companies House website! Interesting to read ‘disappointing’s’ review because I am having the exact same experience with Crane and I was convinced they must be a repeat offender – and I was obviously right. Beautiful building, I ordered mine through John Lewis. Once I had to deal with Crane central office in Norfolk, all my problems began. I was in conversation with them about adding on an electric pack (which costs over £1k) and they advised me to wait to pay. When I rang back to pay they said they cost had gone up 10%. They eventually paid me back the difference after numerous calls and emails to their team. Then they arrived for the early installation in early December without the electric pack or the electrician. Admin error. The shed is half erected in my garden with the timbers stored inside and they won’t be back until early January. I’ve had an email apology but nothing more from them. Their customer service is shocking – beautiful building and I’m sure I’ll enjoy mine once it’s eventually finished… next year. But due to the way I’ve been treated and the anxiety it’s caused I wish I’d never ordered from them. Hello, I just sent you a review of Crane Garden Buildings based on my experience of them, which is still ongoing. I think their customer service is so poor that other customers should be aware of it if they are going to spend thousands of pounds with them. If you do publish my review, would you mind not using my whole name but referring to me as Victoria, Manchester please? Or Disappointed 2. Or anything you’d like to use as a header, just preferably not my full name; sorry, I thought the name was for the form rather than publication. I really appreciate your tracking down Crane reviews. I agree they’re hard to find, and I found it mysterious that they’re not listed on Companies House. I tried to find the owner’s name when I had my first problem with them, but with no luck, and they refused to give me a name when I asked. Thank you again. Sorry – last message from me! I didn’t use the sliders in the first two submissions but I have now. I still can’t understand how a firm that makes such great products can have such shoddy service wrapped around it; very puzzling. Thanks!